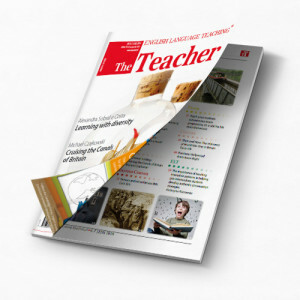 The Teacher is an educational magazine for English teachers, students, as well as anyone interested in the culture of English-speaking countries. The magazine publishes articles on English methodology, both theory and practice that can be utilized in the classroom. Additionally, it reviews books and latest TEFL trends and includes coverage of trainings and conferences. The Teacher has worked with, e.g., Maria Birkenmajer, David Crystal, Hilary Davis, Hugh Dellar, Jeremy Harmer, Jarosław Krajka, Piotr Krasnowolski, Hanna Kryszewska, Diana Lea, Hanna Mrozowska, Luke Prodromou, Herbert Puchta, Mario Rinvolucri, Michael Rundell, Marcin Smolik, Piotr Steinbrich, Grzegorz Śpiewak, Scott Thornbury, Liz Walter. 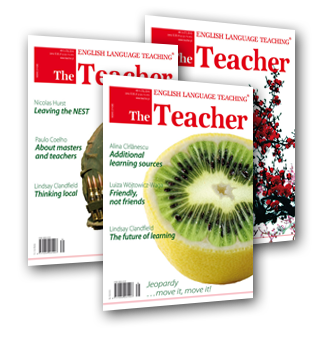 The Teacher is one of the leading international magazines for American-English teachers, and it publishes teaching resources in Canada, the United States, Central and South America, and South-East Asia. Each issue contains reviews of teaching materials, useful guidelines, and articles written by renowned methodology experts. 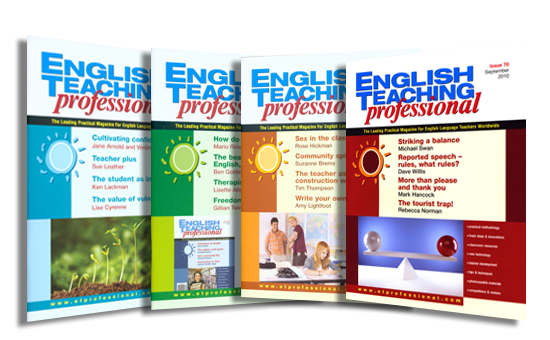 English Teaching Professional is a renowned international magazine for English teachers. Its issues contain numerous interesting and original teaching ideas. It will aid in teachers’ professional development and achievement of educational goals. The magazine publishes lesson plans, articles on professional development and workshops, as well as contests and book reviews. 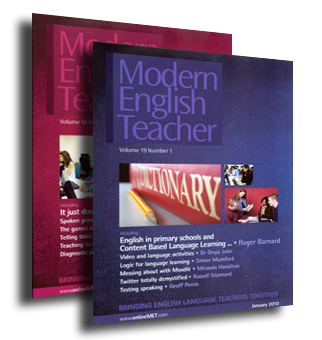 Modern English Teacher Quarterly has been published for 30 years. It focuses on the pragmatic side of teaching English and, therefore, publishes articles on theory and application as well as reviews of the latest educational trends, which may be helpful in professional development and classroom. In each issue, you will find the information on testing, English language theory, English language methodology, and more specialized topics, for example, ESP and CALL. The magazine allows you to stay current on the latest trends in TEFL. 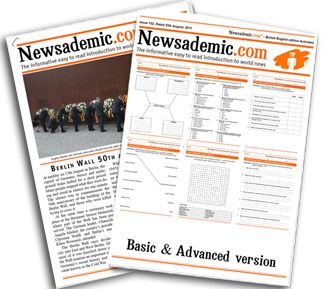 Newsademic is an easy-to-understand international newspaper, written and edited in a style that assists English Language teaching and learning. Currently teachers and students in over 100 countries subscribe to Newsademic. Newsademic is a fortnightly publication (20 articles) and associated website. Both British and American English versions of the newspaper are available. The easy-to-read newspaper features the top world news stories that have made headlines during the previous two weeks. Produced in both a PDF and HTML format many ELT/EFL teachers and students consider it a hugely valuable resource.